Matt Crawford, Citrix Dir. Solutions Marketing and Matt Brooks, Citrix Sr. Technical Product Marketing Mgr. 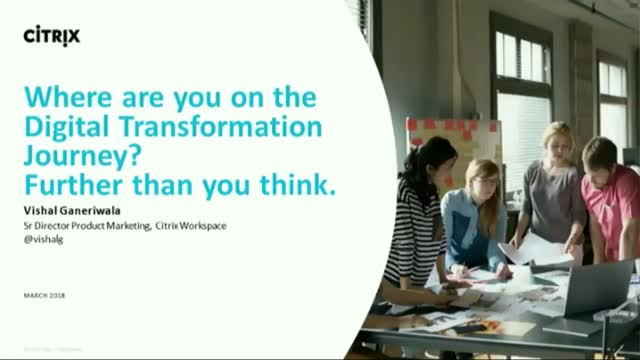 Citrix helps you put users and customers at the center of your business, ensuring that applications, devices and content are delivered effectively, securely, anywhere, anyplace, anytime. With a unified approach to securing, managing, and monitoring every app, users, devices and content your organization relies on, IT can be more efficient, your employees can be more productive, and you have the flexibility and choice to evolve.